Female Hair Loss: It’s Not Just Men! Is Hair Transplant Plastic Surgery? Why Choose The Toronto Hair Transplant Clinic? How Does FUE Hair Transplant Work? Is SmartGraft The Evolution Of FUE Hair Transplants? The Toronto Hair Transplant Clinic Now Offers SmartGraft! Can Scalp Micropigmentation Be Removed? Up to a month or so before a scheduled transplant, using photons to strengthen the mitochondrial activity on the scalp is beneficial. Most people who undergo hair transplants suffer from androgenetic alopecia, in which DHT has been causing havoc on each of the hair follicles and compromising them by miniaturizing the hair follicles, making the sebum production unstable, and increasing the epidermal growth factor (i.e. new skin). These negative attributes to the hair follicles are caused by reduced chemical pathways to each of the hair follicles. Applying photons prior to transplants strengthens the mitochondrial activity. It also assures that any potentially damaged hair follicles during the implantation and extraction process will survive the transplantation. It is recommended that up to 24 to 48 hours after a transplant, the Theradome helmet be used to reduce inflammation from the procedure. Red lasers are used for inflammatory conditions for pain and wound management, as this is no different. Using the Theradome will assure better healing and a greater chance of hair surviving after a transplant. It is extremely important to have a solution that helps both transplanted AND existing hairs on the scalp. After a transplant, the scalp is compromised, and some of the non-transplanted (existing) hair follicles will cycle out of their anagen phase and eventually be lost. Therefore, it is vital to try to maintain existing hair follicles by having an aggressive laser hair therapy regimen for the first several weeks after a hair transplant. Secondly, this will benefit the transplanted hairs, as laser hair therapy tends to convert hairs back into the anagen phase (which is about 2 to 6 years). The fact is that fungus is a problem when someone has a full head of hair. When a person shaves their head, dandruff disappears (i.e. dandruff is a by-product of the fungus Malassezia furfur). Red lasers do help control M. furfur somewhat, but this is much better controlled using shampoos that contain ketoconazole and piroctone olamine or zinc pyrithione or sulphur/tar. All transplant patients should start a regular course and usage of shampoos that contain one of these key ingredients. The more the fungus is controlled, the less inflammation is on the scalp. This results in much greater efficacy of the laser hair device, as reducing inflammation on the scalp will create more hair growth opportunities. There are no published papers on bacteria and hair loss. Unless the patient has a severe bacterial scalp / dermal infection, normal bacterial loads on the scalp have not been reported to cause any adverse effects such as hair loss to date. Besides, regular shampooing should control most bacterial situations. Please note that laser hair therapy does not make any claims regarding bacteria control. We love this revolutionary method of hair transplant because it offers many benefits that former hair transplantation techniques could not. 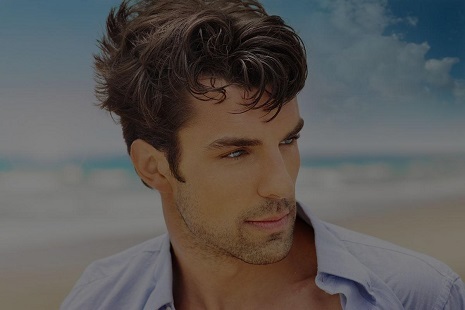 Neograft FUE hair transplant offers a great solution for anyone seeking to turn the tide on their thinning and balding hair, so if you would like to learn more information, we welcome you to set up a consultation. Just like little seeds in a garden, not all hair follicles will survive the transplant, however, with FUE hair transplantation, the permanency rate is very high – over 90%. How much will an average procedure cost? The particular needs and the number of sessions will vary from patient-to-patient. After an in-depth free consultation, we can provide a written estimate with the total cost of the procedure.